CES 2019: Let Eisox handle heating for you! 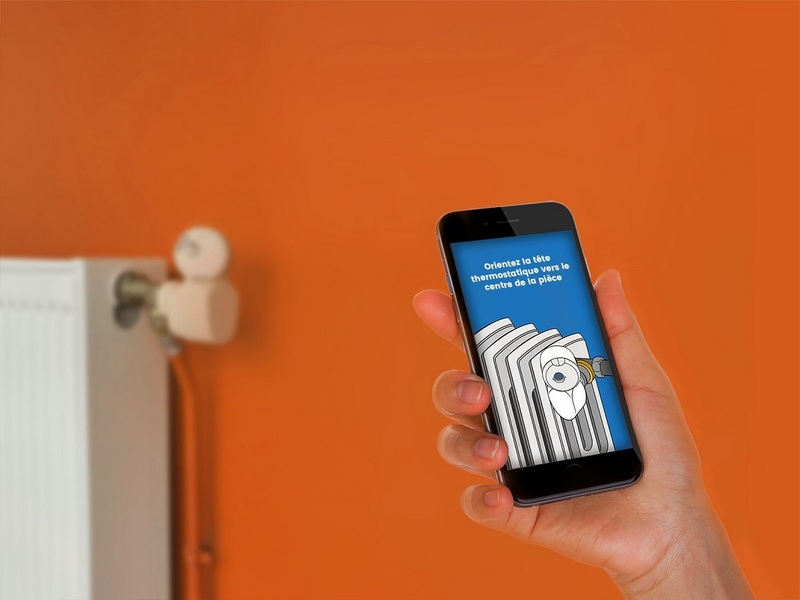 Use a connected thermostatic head to control the smart management of your heating system and improve the quality of life in your home. This start-up will be present at CES 2019 at La Poste’s French IoT stand. Eisox heaters continuously adapt to your lifestyle to offer you comfort without any constraints by deploying a connected thermostatic head which combines smart management of the heater and a service offer focused on quality of life at home. In addition, sensors enable users to choose from a wide range of services, such as intruder detection. In 2008, Joël Chotard, founder of companies, examined the themes of smart management for buildings and the integration of connected objects. In 2013, working alongside Maxence Chotard, he decided to start developing a smart solution that was first focused on energy management for buildings. In 2014, Baptiste Clénet joined the team, and the project saw the light of day in 2016 in the form of the Eïsox company. Thanks to its various features, Eisox enables all users to simplify their daily lives by keeping control over their heat consumption and benefiting from a number of other useful services as needed. The device can be easily installed on any hot water radiator. It also has presence sensors which can inform users on the air quality and detect intrusions into a room. The thermostatic head enables efficient control over the heater in the selected room. Equipped with artificial intelligence, it learns the users’ lifestyle to optimise comfort and energy savings day after day. The offer is complemented by services provided by the integrated sensors: an air quality sensor informs and advises users in real time, and presence sensors enable users to select from a wide range of services such as intrusion detection. Eïsox, a FrenchTech (01) start-up and ambassador for the city of connected objects (02), has participated in entrepreneurial challenges throughout the world ever since it created its first prototypes. In fact, in 2015, Eïsox received second place worldwide at the Organisations IPSO Challenge (Customised Intervention for Solutions in Organisations), sponsored by Google; a few months later, the Eïsox heater was one of the winners of the “25 IoT Heroes 2016” at the IOT/M2M Innovation World Cup 2015/16. In October 2018, Eisox finished its first fundraiser and moved on to the industrialisation phase after having rolled out several pilot sites, including four with Poste Immo (03). Within the framework of its innovation policy, Poste Immo experiments innovative solutions to accomplish and improve the services it offers. For that reason, it supported the development of the Eisox start-up by testing its solution in four postal sites in the towns of Draguignan, La Garde, Le Mans and Angers. This test involves the installation of over 250 connected thermostatic valve heads by the end of 2018. Poste Immo hopes to save significantly on its energy consumption and bring comfort to the building’s residents. The FrenchTech regroups all players in the French start-up ecosystem. It is both a certification and a community and aims to promote development and innovation within French start-ups. As an accelerator of industrial innovations, the city of connected objects supports the development of connected products by start-up companies, SMBs, intermediate-sized firms and major companies at all stages of advancement of their projects. Poste Immo, a subsidiary of the La Poste Group, is a real estate company, a promoter and developer, and a service provider all at once. Poste Immo manages, develops, maintains and promotes a property portfolio of about 6.2 million m² of land on which are built around 11,000 service-sector, logistics and commercial buildings throughout the territory.